As a child, Juliet Price witnessed the bloody slaying of an entire family. Then the killer chased her down, brutalized her, and left her for dead. The police were never able to find the man responsible. For years, Juliet's traumatized mind hid the events from her. Then she sees a television show featuring the unsolved cold case, and the horrors come to her in her nightmares. 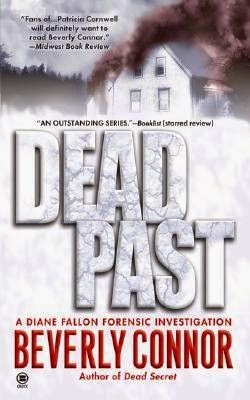 She shares her fears with Diane Fallon, who realizes that Juliet's shattered visions recall not one, but two intertwined crimes-crimes that Diane intends to uncover. I enjoyed this book quite a lot, but I definitely found that it felt a little confused about which story it was actually trying to tell ... it was kinda like watching an episode of CSI, you know where half the team is solving one thing and the other half is solving another. So there's like a sub-plot that starts and ends up feeling like it was supposed to be the main plot. And that neither of the "mysteries / crimes" are focused on enough to tell the story properly. While I am enjoying this series, none of them have had any serious plot twists, which would definitely tip the scales in their favour, instead of them just being nice easy "filler" reads.